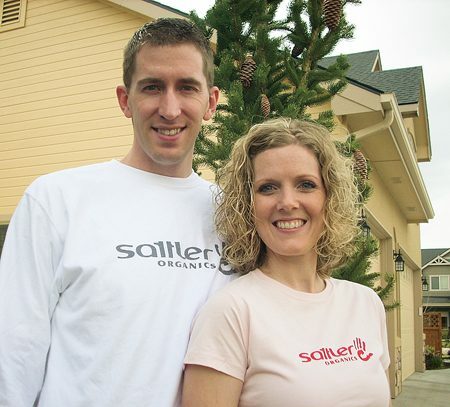 David and Rebecca Sattler use their eco-friendly clothing company to give back. While serving in the islands of Cape Verde as a missionary, David M. Sattler (BA ’02) saw many impoverished people who lacked education. “Children begged me for food, but what really got my attention were those asking for pencils and paper,” Sattler says. He decided that when he returned home he would find a way to help them. True to his goal, after receiving his bachelor’s degree and an MBA, Sattler, along with his wife, Rebecca Brady Sattler (BS ’02), began assisting people in Cape Verde through Sattler Clothing, an ecologically friendly clothing company. “A reason for forming the company was to have a vehicle for giving back,” Sattler says. He contacted his former mission president to ask how his company could help and was referred to the Ashby Foundation, a humanitarian-aid organization in Cape Verde. Professor Catherine Coverston and nursing students to volunteer in understaffed, undersupplied, international hospitals.